(P1) In 2010, Gabriella and Andrew Morrison had just moved into what they thought was their dream home in a coveted neighborhood in Southern Oregon. (P2) But six months later, they were already regretting their decision. (P4) Soon after, the couple learned of the tiny house movement by way of Jay Shafer’s “The Small House Book” and realized that they wanted to live with less. So they got rid of 90% of their possessions, sold the house, and moved to Baja Mexico for five months, where they resided in a pop-up tent trailer. (P5) “From that experience, we saw that we were the happiest with the least possessions, and we committed to designing and building a tiny house for ourselves,” Gabriella told us. (P6) When the couple moved back to Oregon, they began designing and building their own tiny home. (P8) But four months later, their new 221-square-foot tiny home was complete. The couple spent $22,744 building the home, plus another $10,345 on cabinetry from IKEA and appliances. Gabriella and Andrew were so inspired by the experience that they started TinyHouseBuild.com to teach people how to make their own tiny homes. (P9) They now live on five acres of rural land that they bought in Oregon, and live with their daughter (who has her own separate space), their cat, and two dogs. Neither of the Morrisons can imagine moving anywhere else. 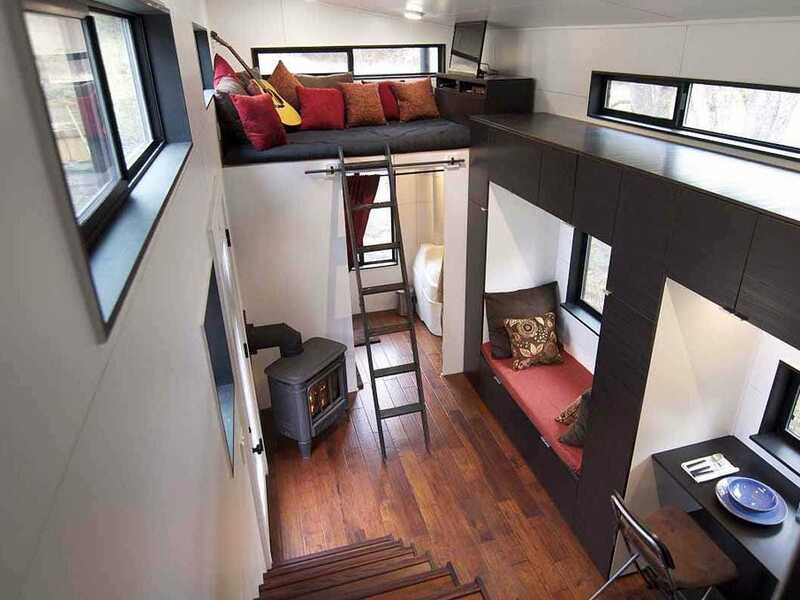 Would you want to build such a tiny house for yourself? 221 square feet (20.5 square meters) seems pretty small, but of course, many apartments are no bigger than that. Do you prefer living in a house or an apartment? Do you like to have more possessions, or fewer possessions? What do you do to try to make your life simpler?